In anticipation of ‘Critical Tensions’, the St Bride annual conference taking place tomorrow and Friday, we asked three key people who work (voluntarily) behind the scenes to tell us why they love St Bride Library. 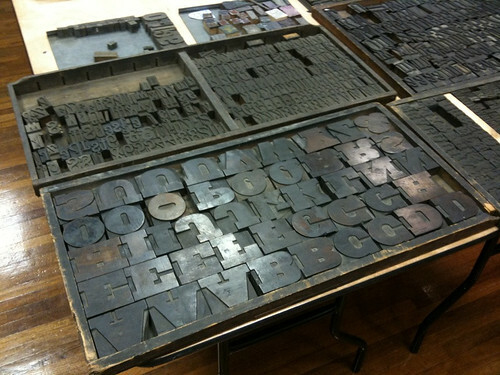 Top and below: Photographs from a letterpress workshop at the library last Christmas. See ‘Inky fingers’ on the Eye blog. ‘For me St Bride is a special place for two very simple reasons. Firstly, the Library is free for anyone to use – where else can you walk in off the street and ask to see a Baskerville bible, Eric Gill type drawings and the latest issue of Eye? Secondly, the specialist staff who run the Library are friendly, approachable and extremely knowledgable. 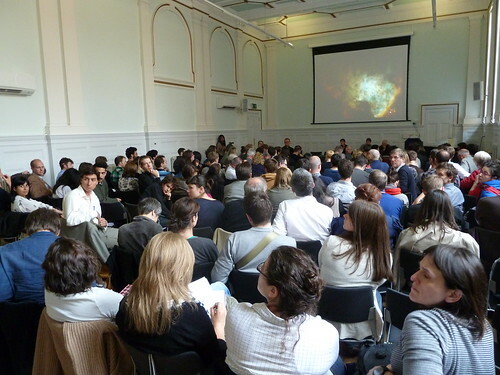 Below: Photographs from Graphic Design: History in the Making at St Bride Library (6 May 2011). See ‘Look behind you’ on the Eye blog. 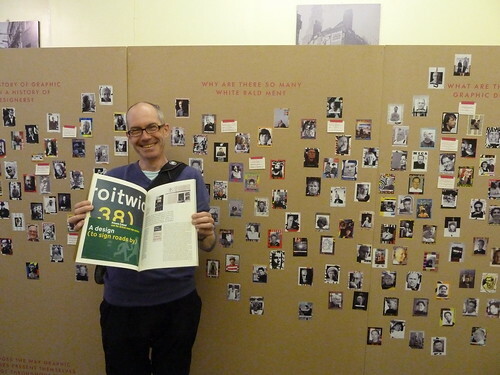 Below: Phil Baines at St Bride, with a copy of Eye 34, which includes his article ‘A design (to sign roads by)’ about the British road sign system. ‘I was asked to help update the Library’s website about ten years ago and was soon drawn further in. 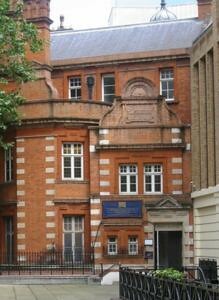 St Bride has tremendous collections, which only increase in value and diversity as time goes by, yet in the past it was always lightly funded and left largely alone. 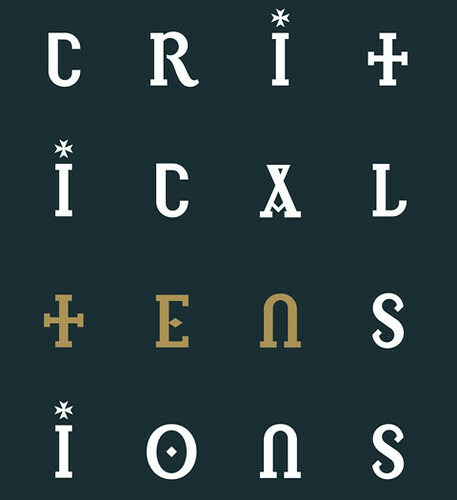 Jonathan Barnbrook’s identity design for ‘Critical Tensions’. Critical Tensions is curated by Eye editor John Walters and Becky Chilcott, and features Timo Arnall (BERG), Phil Baines, Emily King, Jonathan Barnbrook, Zoë Bather, Tom Farrand, Amelia Gregory, Matt Jones, Alan Kitching, Gerry Leonidas, Vaughan Oliver, Paul Rennie, Lucienne Roberts, Steve Watson, Marina Willer, Rebecca Wright and Derek Yates. 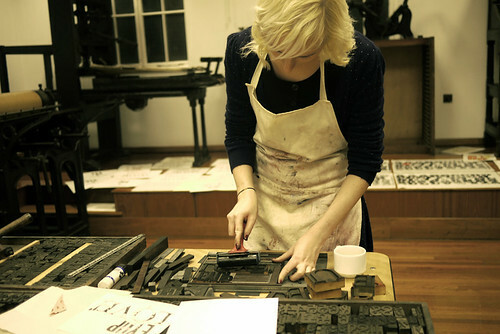 Demonstrators include Paul Antonio (calligraphy), Douglas Bevans (bookbinding), Mark Frith (stonecutting), Helen Ingham and Richard Lawrence (typesetting, linocutting, printing). There will be an Eye stall where you can come and chat to members of the Eye team (including Janet, new editorial intern Dannalie, John and the award-winning Simon Esterson). See also ‘Back to front’, in which Granta artistic director Michael Salu explains why he went to the library to make the cover for Granta no. 111. Eye is the world’s most beautiful and collectable graphic design journal, published quarterly for professional designers, students and anyone interested in critical, informed writing about graphic design and visual culture. It is available from all good design bookshops and online at the Eye shop. The new issue, Eye 81 is on its way to subscribers and bookstores worldwide – see Eye Before You Buy for a visual sample.